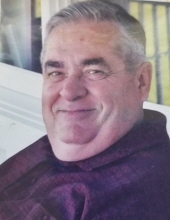 Celebrating the life of Albert J. Ferretti, Jr.
Obituary for Albert J. Ferretti, Jr.
Albert J. Ferretti, Jr., 76, of Brockton, passed away peacefully after a brief illness on Friday, February 8, 2019 at the Good Samaritan Medical Center. He was the beloved husband and best friend of Judith A. (Dale) Ferretti for 54 years. He was a loving father, son, brother, uncle and a devoted Papa. Born on March 18, 1942 in Winchester, he was the son of Madeline F. (O'Hara) Ferretti and the late Albert J. Ferretti, Sr. Brother to William L. Ferretti and his wife Evelyn. Raised in Brighton, Albert attended Brighton schools and graduated from Don Bosco Technical High School in 1960 before entering the Air National Guard. He was a member of the 267th CBCS and 253rd CCG stationed out of Wellesley and Otis Air Force Base where he worked as a communications technician for 39 years retiring in 2002 as a Chief Master Sergeant. Albert enjoyed taking vacations to Maine with his wife and was an avid Boston sports fan. He loved family gatherings and thoroughly enjoyed spending time with his grandchildren and attending all of their activities. Albert is survived by his wife, Judith A. (Dale) Ferretti; his children, Diane M. (Ferretti) Golding and her late husband John, Albert W. Ferretti, William J. Ferretti and his wife Patricia and Carol A. (Ferretti) Thomas and her husband Brian; his grandchildren, Megan E. Golding, Rebecca L. Golding, Caroline G. Golding, Zachary W. Ferretti, Liam D. Ferretti, Brianna L. Thomas, Amber A. Thomas, Benjamin B. Thomas, Matthew C. Thomas, and Quinn M. Thomas. He is also survived by five sister and brother-in-law's and several cousins, nieces and nephews. Funeral from the Russell and Pica Funeral Home, 165 Belmont St., (Rt 123) Brockton on Saturday at 9:00AM thence to Christ the King Parish, 54 Lyman St, Brockton where a funeral Mass will be celebrated for the repose of his soul at 10:00AM. Interment will follow in Coweeset Cemetery, Brockton. Calling hours in the Russell & Pica Funeral Home on Friday from 4:00PM-8:00PM. "Email Address" would like to share the life celebration of Albert J. Ferretti, Jr.. Click on the "link" to go to share a favorite memory or leave a condolence message for the family.